This 12 dB per octave crossover is designed to solve the problem of centering the main lobe of the forward radiation pattern of a two-way speaker system. This crossover is unusual in that each filter is down 6 dB at crossover and that the two drivers are actually "in phase" at all frequencies when the drivers are wired in opposite polarity. That is, even though the filters have their own characteristic phase responses the phase difference between the two output signals is the same at all frequencies. As a result, each filter section has the same group delay. 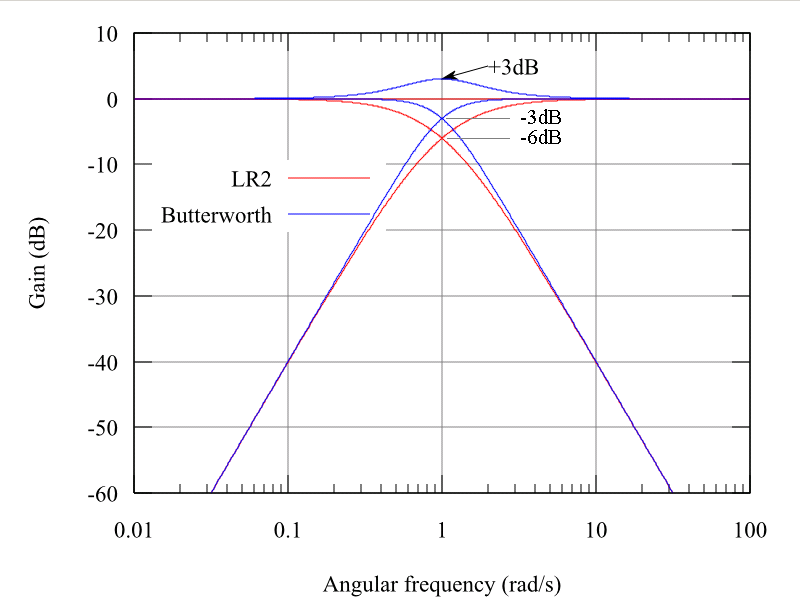 This crossover is recommended over the 2nd order Butterworth type due to its accurate summed frequency response and forward pointing main lobe. Inverted polarity is required for one of the drivers.